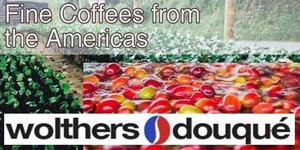 Dear Followers and Coffee Lovers, we are SO excited to present this latest addition to our coffee reviews here, straight from SpillingTheBeans’s Rare Coffee Collection of coffees from over 65 different coffee producing countries and island nations across the globe. 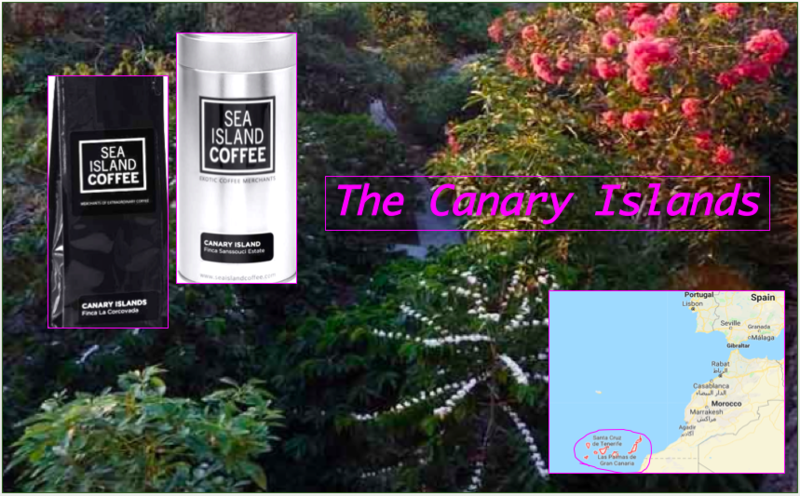 And what could be more exciting and exotic to add to this unique and exclusive list in the World of Coffee but two samples from the remote tiny Spanish territory of the Canary Islands, located off the coast of North-Western Africa. 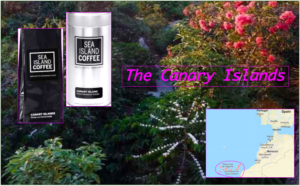 One of only two coffee growing origins within Europe the Canary Islands is among the northernmost coffee locations in the world, only surpassed by the Portuguese territory of the Azores Islands located some 1,500 kilometers further to the North-West in the mid-Atlantic and roughly at the same latitude of Portugal’s capital Lisbon. 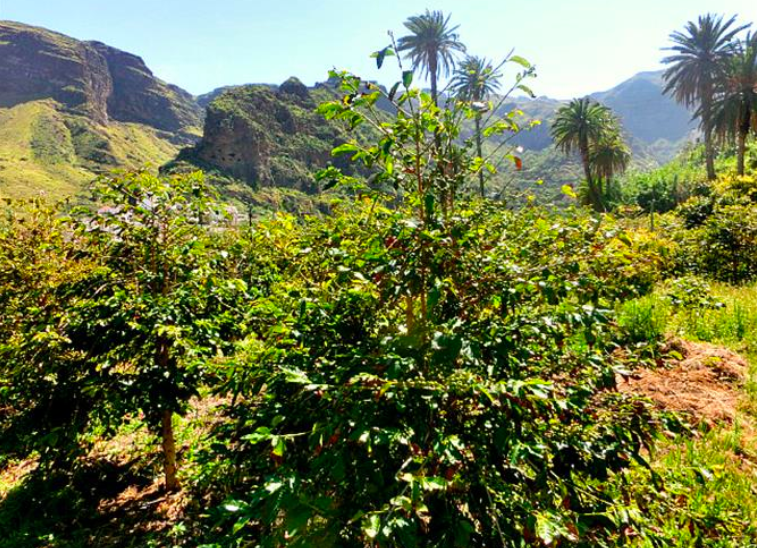 The Canary Islands have been home to coffee cultivation since 1788 when then King Carlos III of Spain first introduced a few plants to the islands. 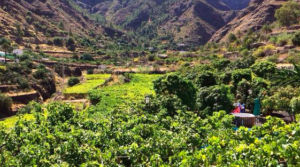 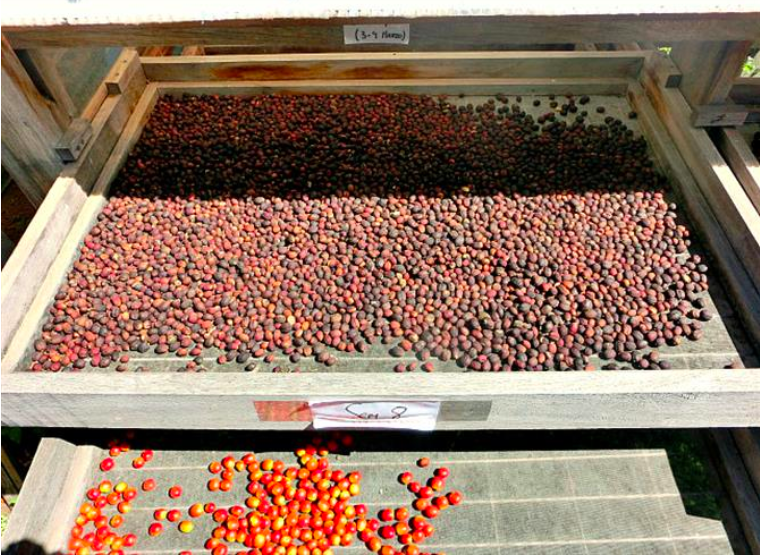 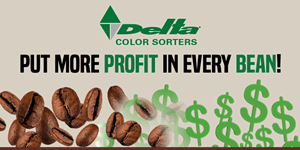 Production has always been small and to this date the total harvest is in the hands of a handful of small farmers who grow coffee in very exclusive quantities, mostly on the gentle slopes of the mountains in the Agaete Valley on the island of Gran Canaria. 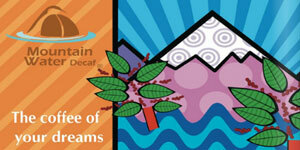 For our Coffee of The Day today we sampled beans from two different farms in the Canary Island, both from one of SpillingTheBeans’ long-term favorite coffee companies, Sea Island Coffee in London, the U.K., which we applaud for always going the many extra difficult miles to bring all us Coffee Lovers some truly rare and outstanding beans from some of the tiniest and most remote coffee corners in the world. 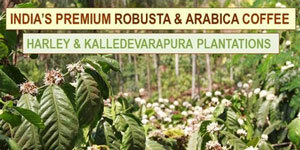 Known to true Coffee Connaisseurs as home to some of the finest beans of the Canary Islands, the aroma of the freshly grounded coffee from the Finca Sanssouci coffee estate has an overwhelming smell of sweetness, which not surprisingly results in a beautiful final cup with a very nice body, delicate acidity and wonderful sweet and fruity notes dominating the flavor profile. 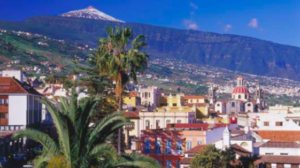 The abundance of body in this cup is easily explained as Finca Sanssouci is located on Tenerife, the biggest of the seven Canary islands which has its highest point Mount Teide reaching an impressive 3718 meters in altitude. 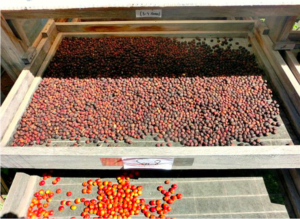 Based in La Matanza de Acentejo the coffee is processed as both fully washed as well as honey and this farm also produces a special “Geisha Selection” of its coffee available in even tinier batches with limited seasonality. 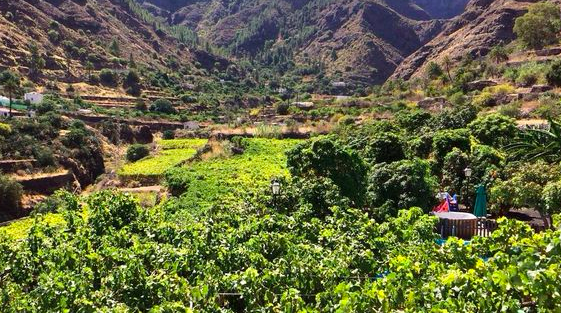 The other farm which has seen its outstanding beans find its way to the international market is Finca La Corcovada which is grown by Juan Godoy in the traditional home of coffee in the Canary Islands, the Agaete Valley of Gran Canaria. 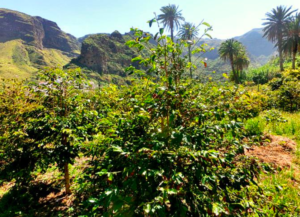 As so typically seen with island nations, and what makes these tiny coffee growing regions pockets of such rich and diverse beans as the case with the Canary Islands, the Agaete Valley is home to a “unique microclimate with temperatures moderated by the cooling trade winds and rich soil shaded by mango and papaya,” according to Sea Island Coffee.